THESE HAVE BEEN dark days for McDonalds lovers. 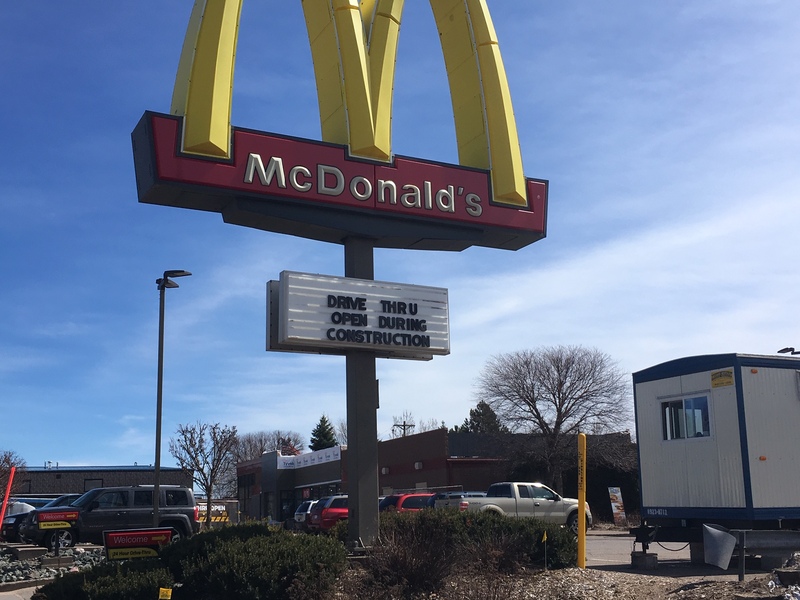 The fast food restaurant on West Washington has closed down for construction–although the drive-through remains open. Modernization, according to owner and operator Jim Wilson. Not only that, but you won’t be waiting at the counter to pick up your orders anymore. They’ll be delivered to your table by the McDonalds crew. In other words, it’ll be something closer to a regular restaurant experience. Construction should be completed by the end of May. Drifa is just a construction zone now. It’ll soon be a brewery co-op. 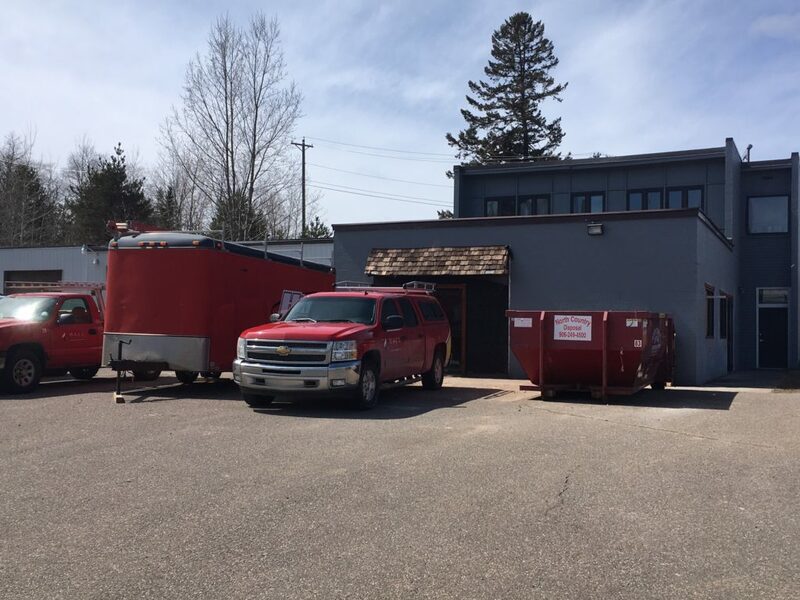 A COUPLE OF years ago, it might have seemed like a pipe dream–a beer cooperative in Marquette? Really?–but now it’s almost reality. Drifa (Norse for snowfall or snow drift) will open this summer, right up the road from South Beach, not far from the soon-to-be dismantled Shiras Power Plant. It’s the brain child of school teacher David Gill who has managed, against all odds, to attract 300 co-op members paying $99 each, along with preferred share investors who’ve put in $120,000, and a loan from Northern Initiatives. Construction on what was formerly an office building has been underway for seven weeks now, staff hiring has started, and Gill is hoping Drifa will open its doors in June. July, at the latest. Everyone will be welcome at the brewery and tap room (seating capacity is 51) but dues-paying members will get a discount with every beer. What a deal. And a welcome addition to the south side of town. The Boathouse is out from under a legal cloud. 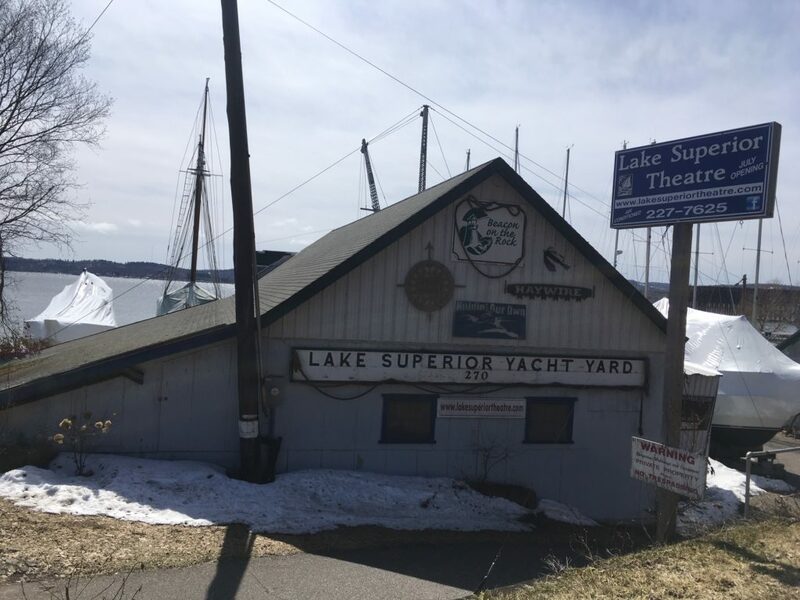 GOOD NEWS FOR the Lake Superior Theatre and the Boathouse. It appears that the strange and unfortunate spat involving two prominent families–the Conleys and the Fraziers–along with the city of Marquette and the Boathouse, itself, has ended. Peggy Frazier reports that the case brought by the Conleys against the Fraziers and the city has been dismissed without prejudice or cost. No agreement in the case, according to Frazier, just a dismissal. Two attempts to get a response from the Conleys’ attorney have been unsuccessful. Quick background: The Conleys filed the suit a year ago charging that the noise generated by events at the Boathouse (owned by the Fraziers) disrupted their summer evenings up on Ridge Street. They had no problem with the theater performances and a few community fundraisers, but they wanted to end the weddings there. Further, they charged the city was violating its own zoning laws by allowing the Boathouse to operate. The weddings, the Fraziers contended, were essential fundraisers for the theatre–which is one of Peggy Frazier’s great passions in life. In any case, the end result to all this, according to Peggy: No more lawsuit. The theater season opens in July with “Fiddler on the Roof.” The fundraisers will continue. A half dozen weddings are scheduled for this summer. She remains hopeful that a prominent new venue for the theater–and other groups and events–can be found elsewhere downtown. The search goes on.